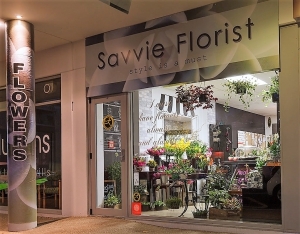 Savvie Florist, located in the heart of Whakatane, New Zealand, a charming and intimate urban boutique equipped to meet all your floral needs. With 15 years experience, owner Tracy Dixon uses her flawless attention to detail and unique artistic flair to create fresh and engaging pieces.Delivery to local Rest homes and Hospital available. For excellent quality and customer service order today! Beautiful flowers, my friend absolutely loved them. Thank you for the great service! Lovely flowers, Arrived when I requested. Partner very happy. Wonderful communication that ironed out supply issues and resulted in a bouquet that resulted in smiles all round. Thank you. Really great service and beautiful flowers! My mum loved the plant received! The recipient of the floral arrangement was thrilled! She said it was beautiful and made a great impression among the hospital staff. She carried the basket home with her, and really loved it. Thank you so much! Great job. Will write this in both spots - I'm not happy that I got an email &quot;confirming delivery&quot; several hours before the flowers had actually been delivered. That caused an awkward email exchange that I was not happy about. The flowers, from what I understand, were lovely! Couldn't be happier with the flowers Savvie Florist put together for my MIL's birthday. I asked them to create a bouquet that was "pretty" and they absolutely NAILED it! Not only were the blooms gorgeous, their presentation (the paper and everything) were divine. I would highly recommend Savvie Florist and will happily use their wonderful team again! Thank you very much. Good communication when couldn't get flowers that were advertised although disappointed about that. 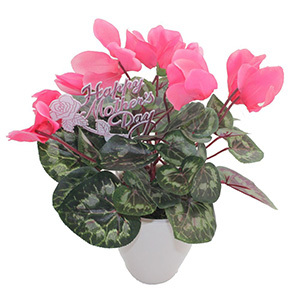 My mother loved the arrangement, which was delivered on time and to specification. 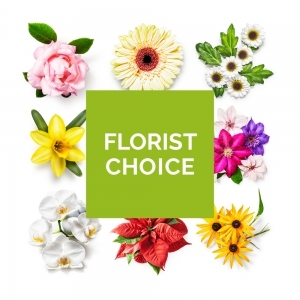 Florist emailed to point out and explain a slight deviation from description - excellent service.